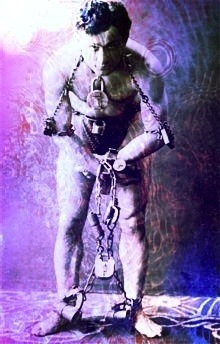 Harry Houdini was a radical among radicals attempting to reinvent and create radtastic entertainment. And to boot he applied his knowledge of magic toward debunking con-men’s claims of supernatural abilities. If he were alive today he would assuredly still captivate the world and could have even assisted with the whole Charlie-Sheen-warlock-powers-tiger-blood thing. Suffice it to say, the only things he may not be able to escape from besides his own mortality would be the limelight and the paparazzi.